Celebrate the holidays with your family and your favorite game! 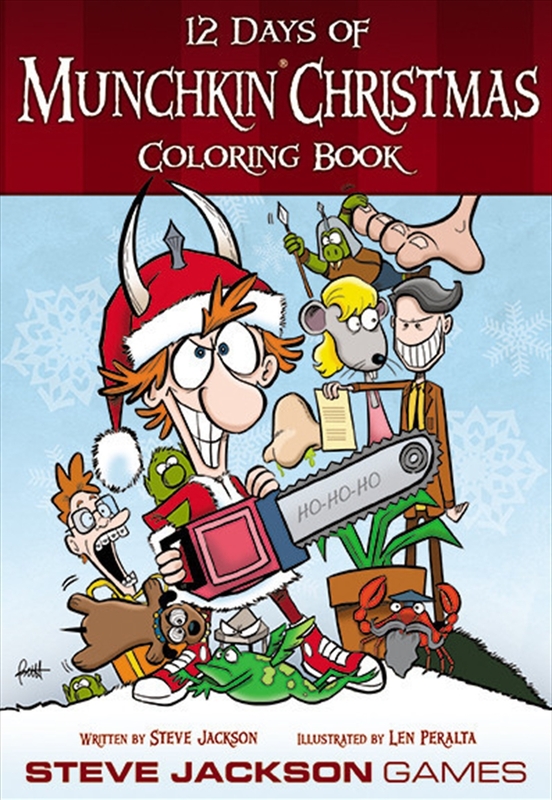 With a dozen Santa-sized pictures, the 12 Days of Munchkin Christmas Coloring Book entertains you and the little ones for hours! And when it?s time to trade the crayons for cards, your Munchkin games become even more merry and bright with 10 new game cards that shuffle right into the classic Munchkin game. Or make things even more Santariffic and add these new cards to Munchkin Christmas Lite!